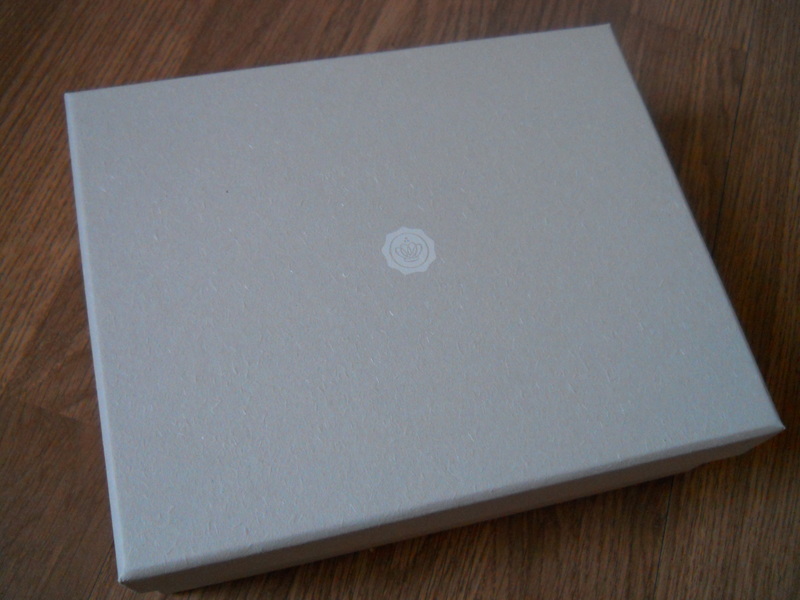 So today my first ever Glossybox arrived, and I couldn’t have been more excited. 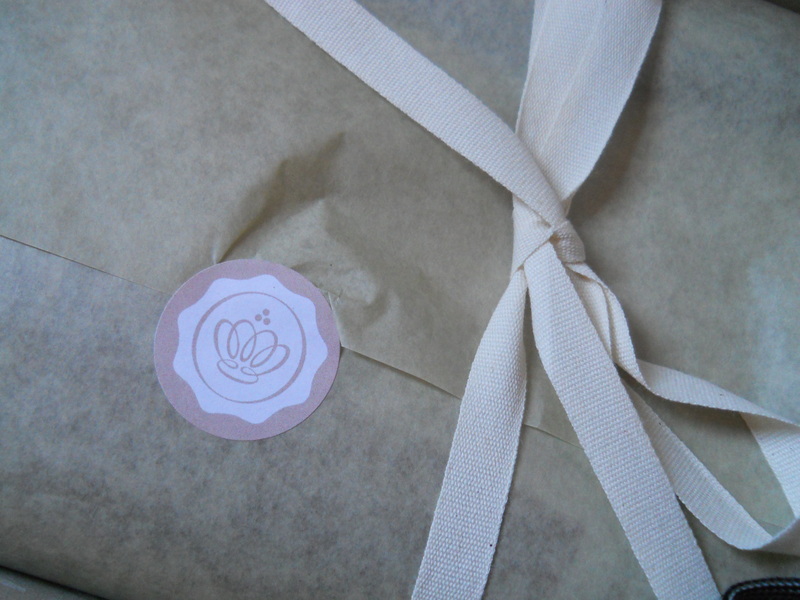 I feel like Glossybox has been everywhere but my doorstep lately, and I had to be a part of the whole ‘community’ and subscribe to the monthly beauty box. 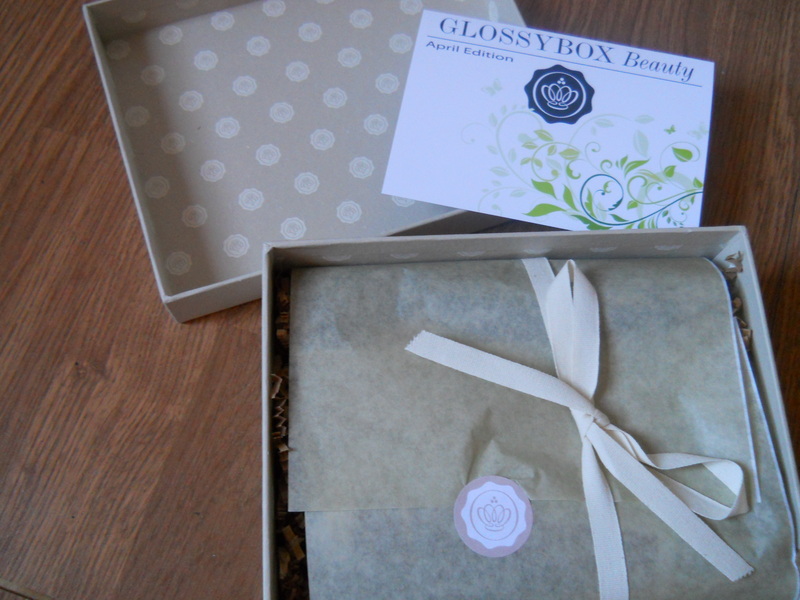 For those who don’t know, for £10 a month (plus p+p) Glossybox send you a monthly box of five full or sample size beauty products as part of their beauty box service and the aim is for you to be able to try a multitude of products for an affordable price. Being as I love all things beauty and do my fair share of beauty reviews here on the blog, I thought this would be my cup of tea and of course it’s nice to treat yourself isn’t it girls? 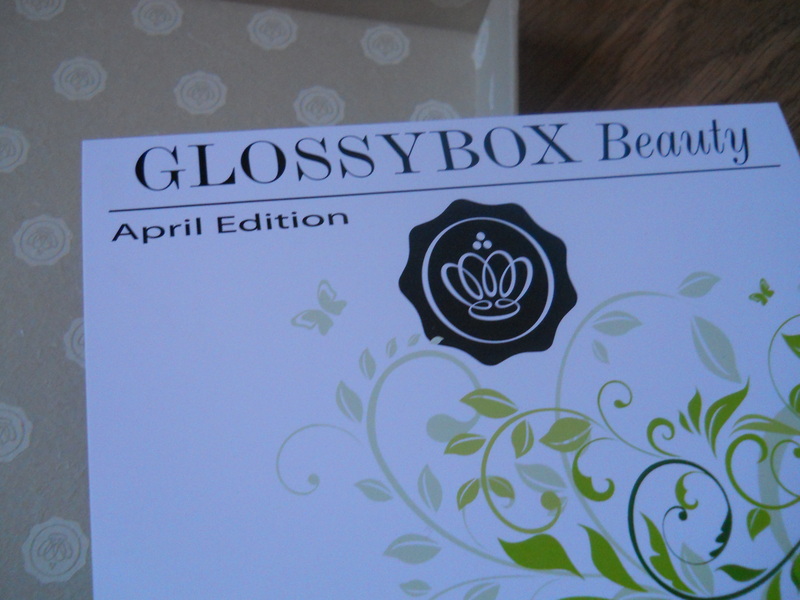 After hearing some of my favourite bloggers and Youtubers rave about Glossybox I decided that I’d cave and order the April one, and I was generally very pleased with the contents of my first box. I thought that I could make my contents and initial thoughts a monthly post now that I’m signed up, and follow up a week or two later with full reviews of the products and how I have been getting on with them. Let me know if you like that idea. 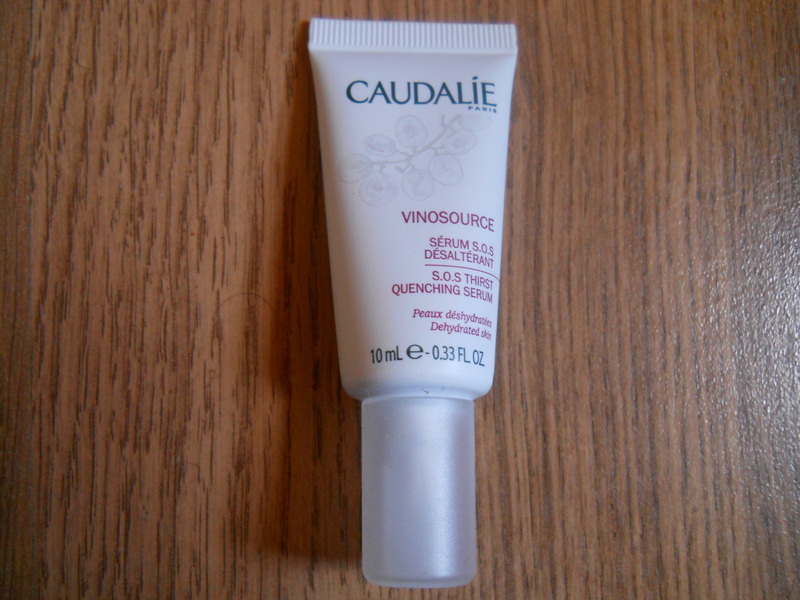 The first thing that greeted me was the Caudalie Vinosource SOS Thirst-Quenching Serum. Phew. Caudalie gets a lot of love in the beauty world and I know I probably should have already tried something from the French brand, but I just haven’t got round to it. This is a great little 10ml tube to test the water with, and it’s perfect for me as I have normal to dry skin, which loves a bit of hydration. I’m not normally one for a very complicated skincare regimen, but then I don’t have problem skin so I’ve always been hesistant to test out too many things incase my skin hates it, but with Caudalie’s great reputation I’m looking forward to giving this a go. The second thing I spotted was an Inika eyeliner, which is a brand I’m not familiar with but am excited to try. 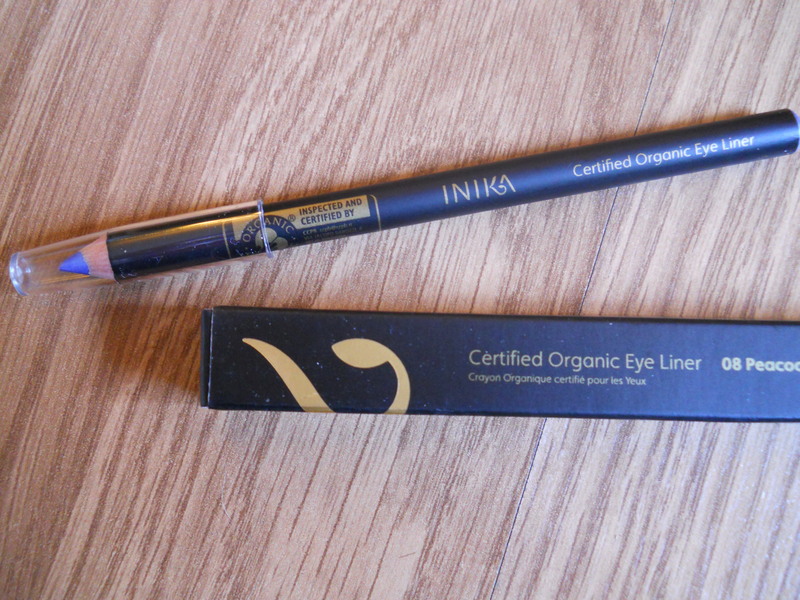 I received one of their organic liners in ‘peacock blue’ and which I don’t have anything like in my make up collection. 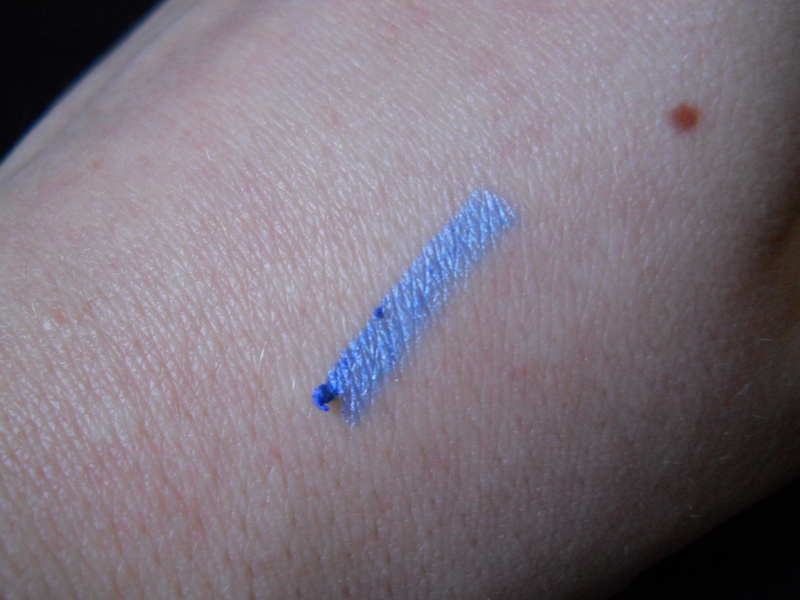 I’ll insert a swatch below of the liner as it’s highly pigmented and I was impressed at the colour pay off after just one application. In my indepth reviews post I’ll get back to you on how it applies and its longevity, as a long lasting formula is something I definitely look for in my eyeliners. The colour is so gorgeous and I can’t wait to wear this both on the waterline and to create a different cat eye to my usual trusty black look. 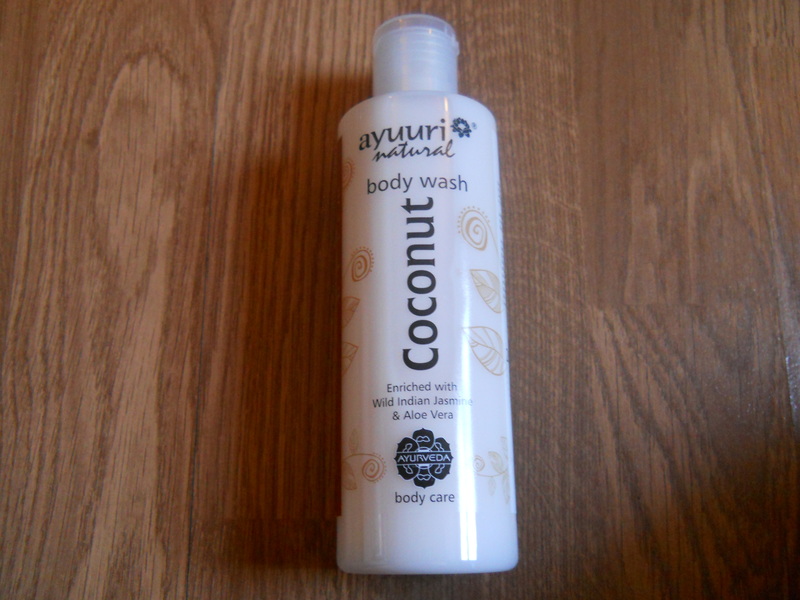 Thirdly, this Ayuuri natural body wash is right up my street as it’s coconut scented, and if you’ve been reading my blog for a while you’ll know it’s probably my favourite scent. All of my shower and body products are coconut scented so this will fit perfectly into the coconut collection which is growing in my bathroom. I’ll admit that bodywash isn’t really a product that I spend a lot of money on, I usually just pick up something that’s on offer, but I’m going to enjoy this nonetheless. The bottle says that the wash is infused with wild indian jasmine and aloe vera and truthfully I think those are scents that you can smell more strongly than coconut, but it’s smells great all the same. 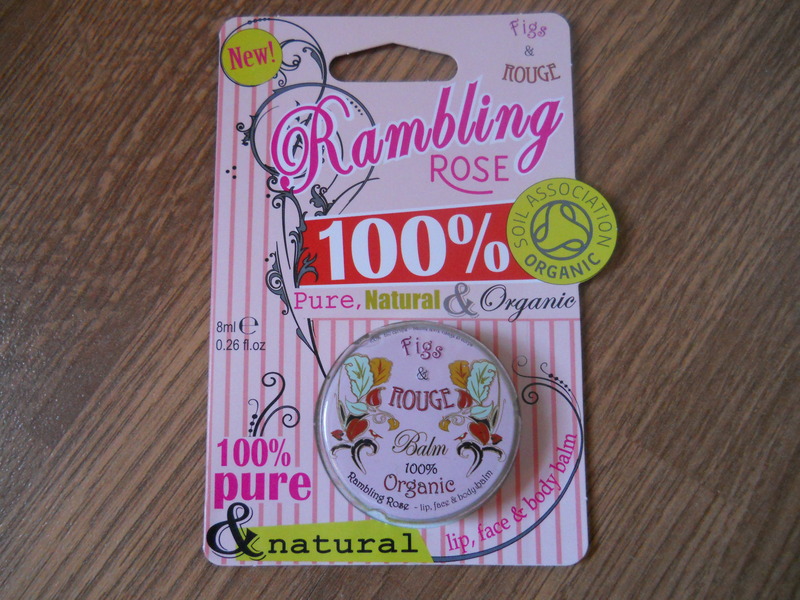 The fourth product is definitely my favourite and it’s the Rambling Rose lipbalm by Figs & Rouge. I’ve heard of this brand before but never tried any of their products but this was my favourite thing in the box hands down. It’s a gorgeous rose scent and is so smooth on the lips, I literally put it on straight away on opening the box! I’m loving balms at the moment as I get very dry lips and love lipstick which doesn’t really do my lips any favours, so I’ve got this to add to my never ending balm collection. The consistency reminds me of the Body Shop lip butters as it is quite thick and feels really nourishing. I’m loving that so far. 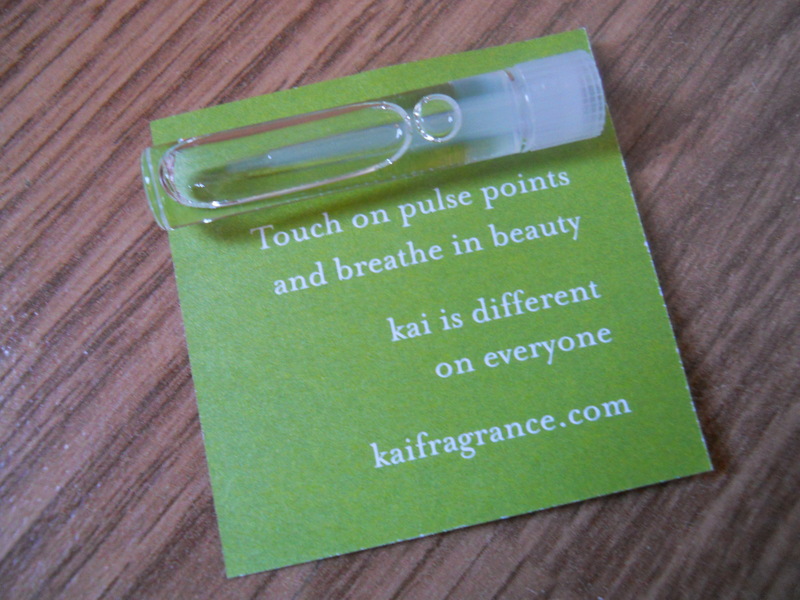 The last product is definitely my least favourite and it’s a small fragrance tester of Kai’s signature scent. I’m not sure how to describe my dislike of this other than it’s not my kind of scent, which I guess is an inevitable problem when including perfumes in a box like this. I’m a strong scent lover, at the moment I’ve gone back to my old favourite perfume, Ralph Lauren’s Notorious which is one of my all-time favourites, and I can’t pick out what I don’t like about this Kai scent, I just know that it’s not me at all. 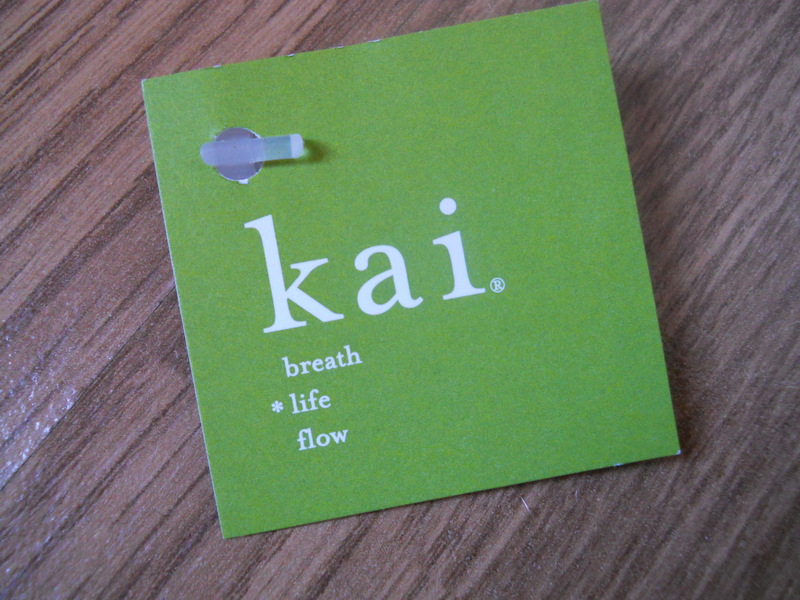 People who like light, very fresh yet floral fragrances may like this, but so far I don’t see myself putting it on again. All opinions are my own, I am not affiliated with Glossybox or any of the featured brands in any way. 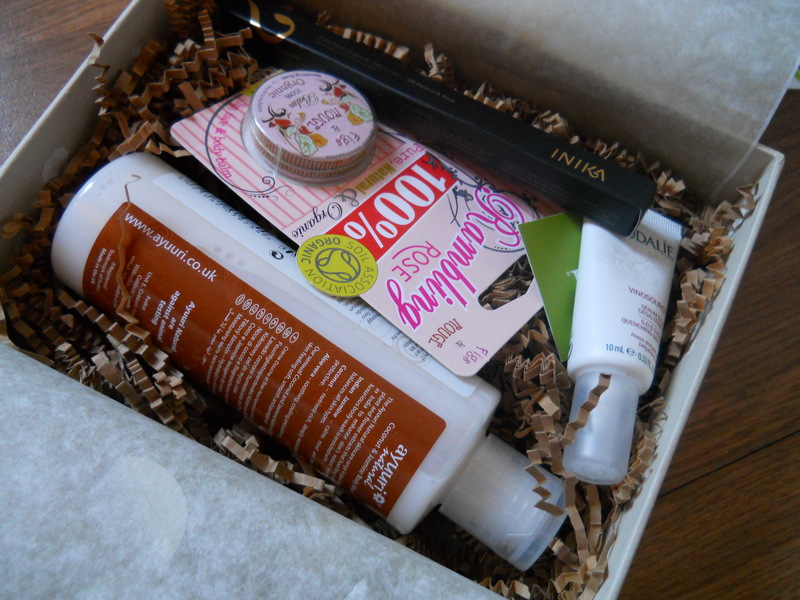 I have to admit I’m really impressed, I haven’t tried any other boxes to compare, but I did a lot of research into what beauty boxes are out there before I ‘committed’ haha and I feel I’ve made the right choice. It seems we both got quite different things which is nice, it’s good to think that they take your preferences into consideration.